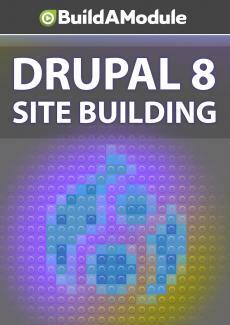 Quiz for chapter 7 of "Drupal 8 Site Building"
Down for some questions? Here ... we ... go!!!!! All right, let's spin up the Quizatron. Quizatron 9,000. We've got five questions here. Again, you can record your answers and then verify them with the Solutions video at the end of the chapter. Question one, Which method is the most secure way to allow users to create an account themselves? A, Allowing only administrators to add user accounts, B, Allowing users to register with email validation, C, Allowing users to register and require activation by an administrator. Question two, Which forms are public facing by default? Check all that apply.